The Roll For Rob art show has the last few pieces up in an eBay auction with all the proceeds benefitting Rob Pontes battle with ALS. 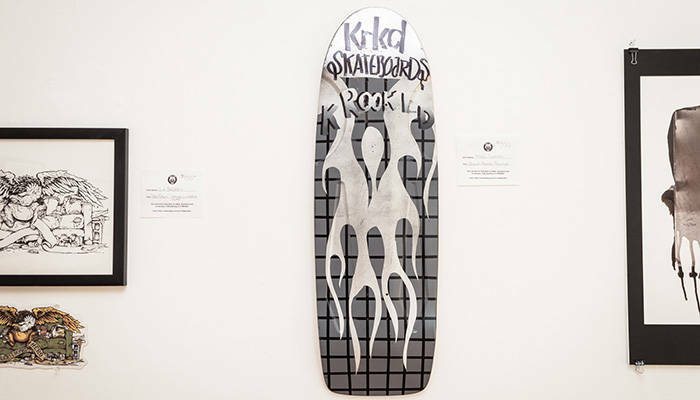 Hand-painted boards by Mark Gonzales and Jason Jessee, Gabe Morford photos, paintings from Russ Pope, Todd Francis, Mark Oblow, and more are all available for purchase. This is your chance to own some amazing original artwork and support a good cause at the same time. Don’t sleep, the auction ends this weekend.